National Bank shareholders have unanimously voted to allow the bank to redeem all of its issued and outstanding Non-Cumulative participating Preferred Shares for cash at a redemption price to be determined. There are 1.135 billion preference sharesoutstanding, representing Ksh5.675 billion of capital. These are held by the National Treasury and National Social Security Fund (NSSF) which owns 235 million shares. Speaking at the Bank’s Annual General Meeting Friday, National Bank Managing Director Munir Ahmed said the redemption exercise would significantly improve the value to the owners of the company especially to the Ordinary shareholders. “In the current scenario, most of the dividends declared go to the preference shareholders because they share the balance after preference dividends are paid pari passu,” said Ahmed. 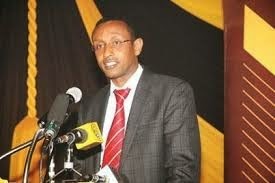 Ahmed said the bank intends to use part of the proceeds of the forthcoming Rights Issue to fund the redemptions. National Bank expects to raise Sh13 billion subject to regulatory approvals. This expected to boost its capital significantly and to offset any reduction in capital base occasion by the redemption of the participating non-cumulative preference shares. However, most of the proceeds of the Rights Issue will fund balance sheet growth required to enable National Bank achieve its strategic ambition of becoming a top tier bank by 2017. The funds raised will also be used to meet enhanced statutory capital requirements, invest in branch and network expansion within the country and regionally. The lender will also use proceeds to invest in product innovation; complete technology upgrade and capabilities; strengthen credit risk management capacity, restructure the bank’s cost base.